Computer repair services are available almost everywhere. In fact, you can have the repair done right in the comforts of your own home. There are some online computer repair services that that provide either in-store or in-home repair services. This is especially beneficial for those busy people out there who do not have time to drive their computer to the repair shop. Online computer repair services offer the fastest and most reliable solution to the day-to-day technical problems that your computer might need. There are actually so many service providers that you can choose from. In fact, it becomes quite challenging choosing which one is the best service provider. There are just way too many options available for you. This makes it necessary to carefully consider which service provider can best serve your needs before finally enlisting a suitable company. ComputerRepairsCity.com is a leading computer and laptop repair company in Los Angeles. Their service technicians are well trained at providing service for different kinds of computer. Whether you own an HP, Sony, Dell, Gateway, Compaq, Acer, or Toshiba laptop or desktop, they can certainly help you out. Unlike other service providers that offer services limited either to hardware or software repair, ComputerRepairCity.com can handle virtually all types of repair services that you need. Technicians from computerCityRepairs are not only adept at computer repair. 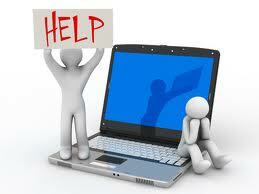 They can also help upgrade your computer system through regular maintenance or installation of software upgrades. For your networking needs, either in the home or office, you can also hire their services as they are well experienced in establishing wireless networks. Not only that, ComputerRepairCity.com can also help repair computer peripherals including router for WiFi connections and printer. ComputerCityRepairs.com is actually a one-stop shop when it comes to your computer needs. The company is staffed by the experienced computer technicians hence can help you with your computer needs. The next time you need computer repair, you should contact ComputerRepairCity.com. They offer the most convenient in-home and in-store computer repairs for their clients.